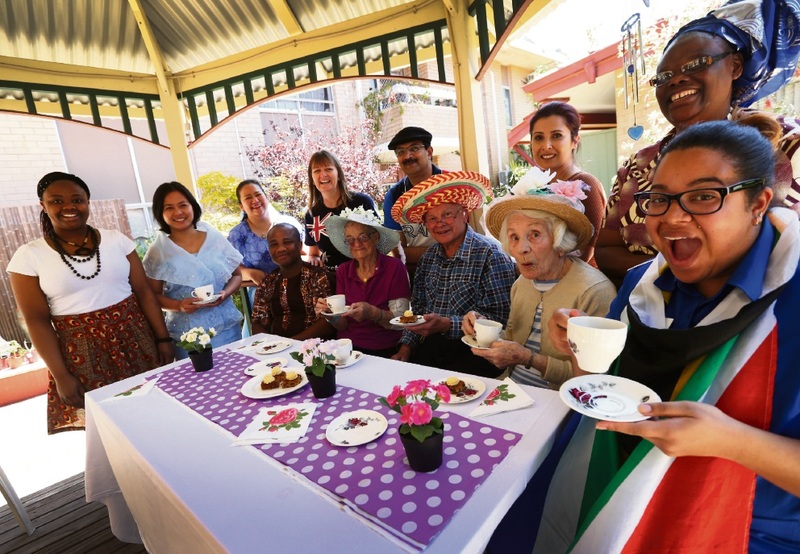 AGED care residents from Adventist Care dressed up in costumes for a multicultural-themed high tea to bring cheer and good times. Once a month, in-care residents at Adventist Care enjoy a themed high tea or a concert organised by the chaplaincy department with the help of the lifestyle team. Recently, the residents were taken on a trip around the world during a very multicultural concert. Staff dressed up to represent their heritage and Cannington Salvo Super Store loaned traditional outfits from other nations to display. In-care resident Frances Tonkin said it was a popular day, which she always looked forward to. “It is a lovely afternoon for us residents. It is marvellous to hear everyone singing, even people that don’t usually join in other activities are usually at the high tea… we often need extra seats,” she said. The high tea program aims to bring joy and a sense of community to the residents, as they sing songs from their pasts, according to Chaplain Barbara Reynolds. “(The) activities keep them alert. Every part of the program is carefully thought through so that it benefits the residents,” she said. The residents of Sherwin Lodge are given help plan the events, even supplying the china from their own collections. If you would like to assist in one of the programs, or would like more information about, contact Adventist Care on 9354 4133.